Want to intern with us? What do we do here at Fairytale Farm anyway? Every season, we are looking for interns to help with gardening, seed saving, harvesting, processing, and fermenting foods found in the garden. We also, depending on the season, prune the grapes and fruit trees, design and plant new parts of the yard, and work with drip watering and other water-saving measures. In the spring, we help our neighbors’ with their bee hives and swarms. 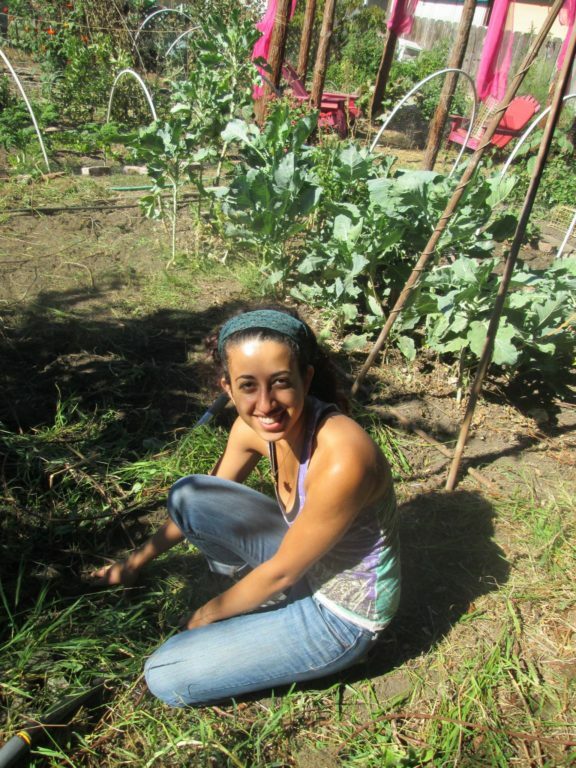 Agroecology interns – you are the gardeners, the seed sowers and savers, the diggers, the haulers, and the fermenters. You will need to be strong, be able to lift many wheelbarrows of chicken manure, dig lots of holes, and have the patience to do repetitive tasks for hours. Media interns – you are the photographers, the videographers, the bloggers, the article writers and the social media fairies. You will be documenting what we are doing each week at the farm, war we plant, what we harvest, and working on educational videos to go on our website. We also need help with creating an on-line store that sells our planting calendars, booklets, artwork, and other great projects done by past interns.